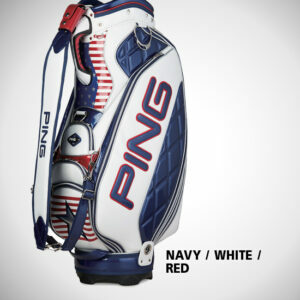 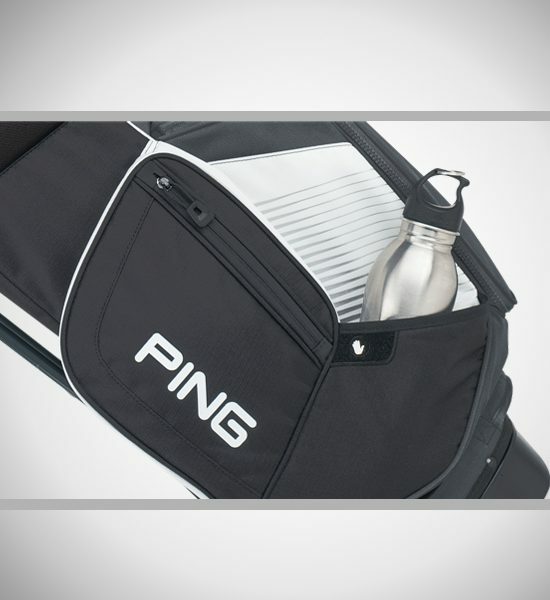 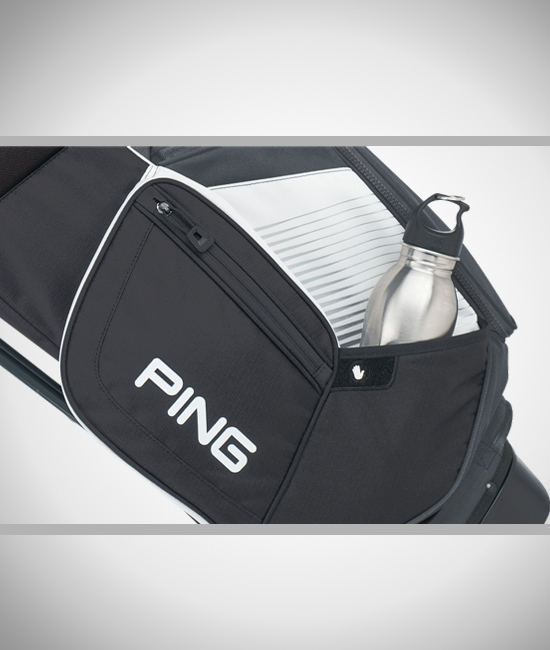 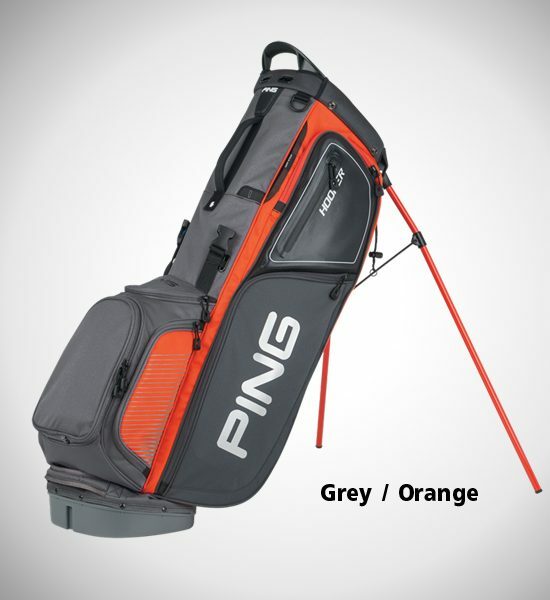 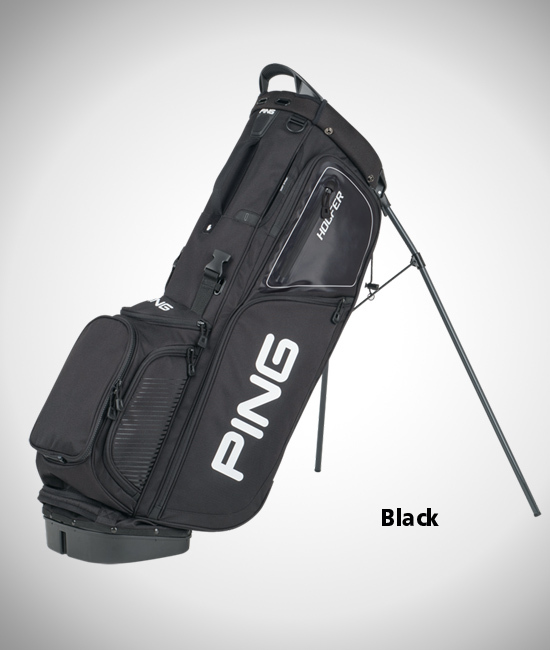 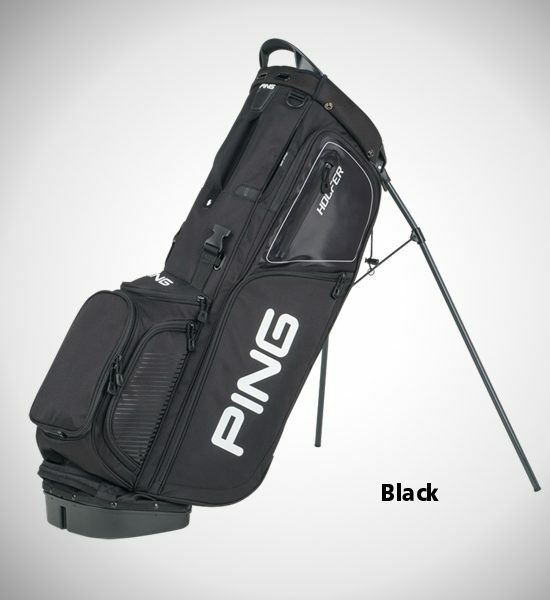 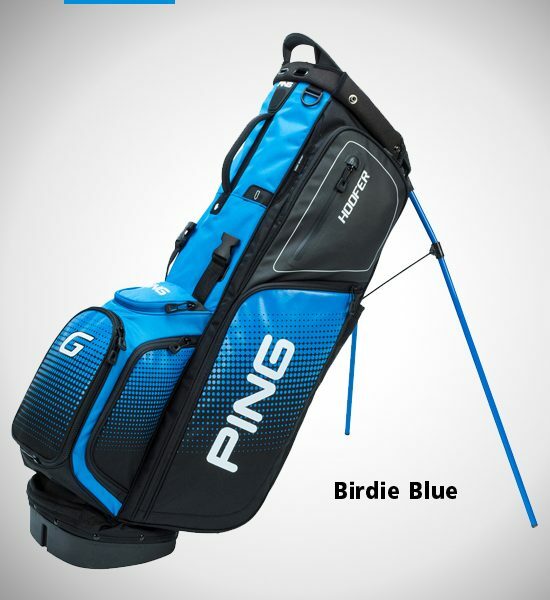 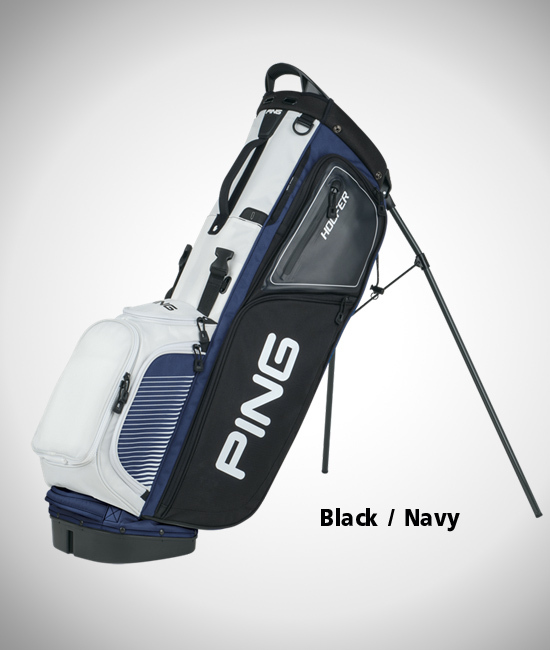 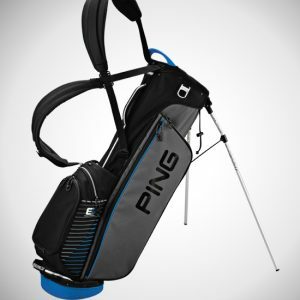 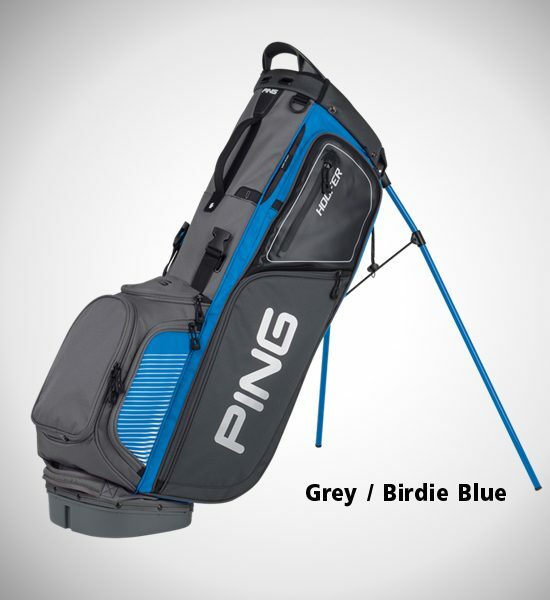 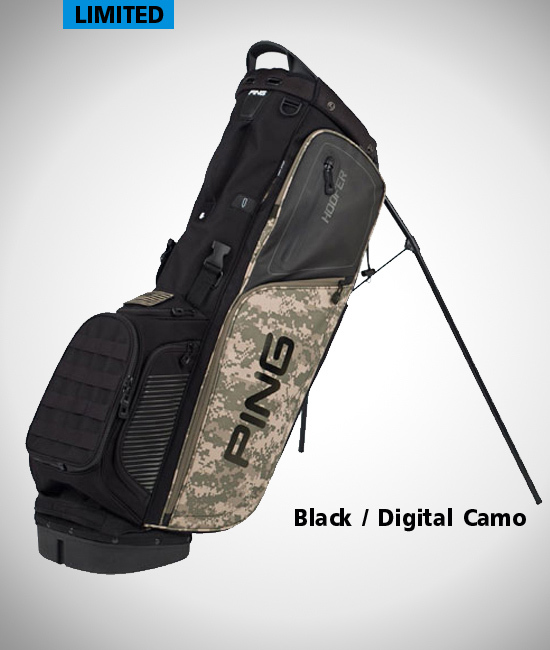 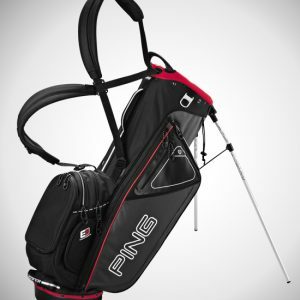 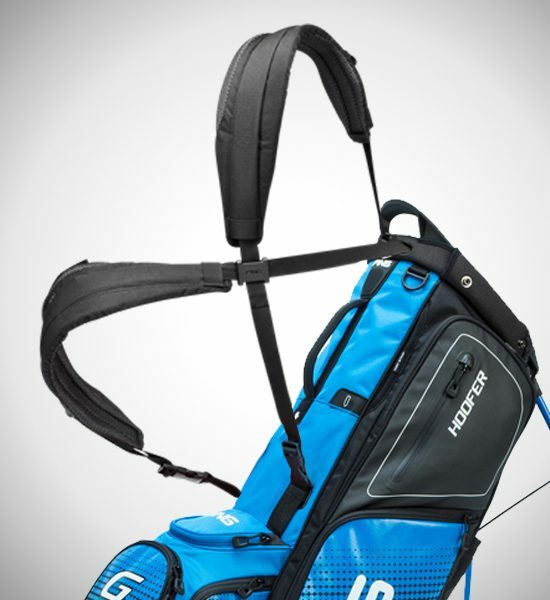 Enhancements to the Hoofer bag include the addition of four pockets, bringing the number to 12 — generous storage for everything from a range finder and water bottle to golf balls, accessories, and extra apparel. 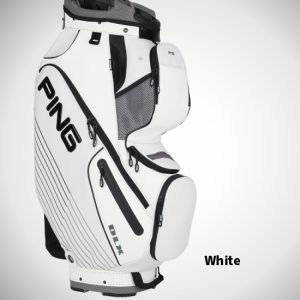 Two easy-adjusting, sliding shoulder pads are integrated with Sensor Cool Technology to wick moisture away during the hottest rounds. 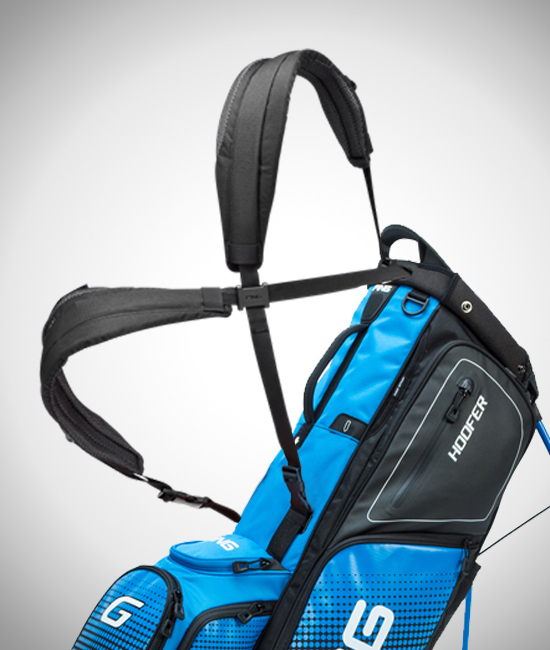 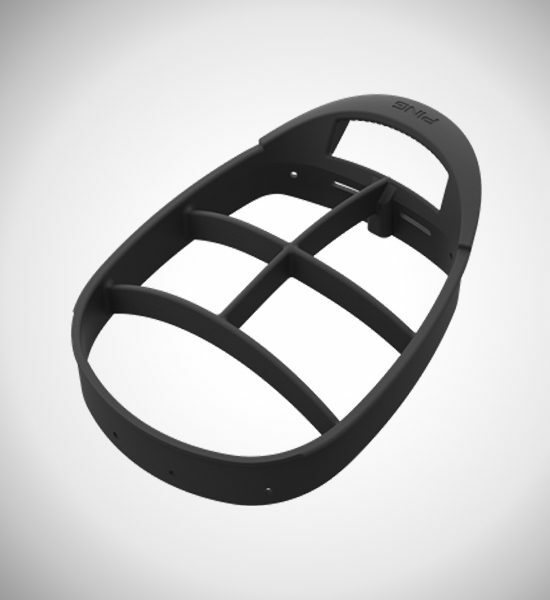 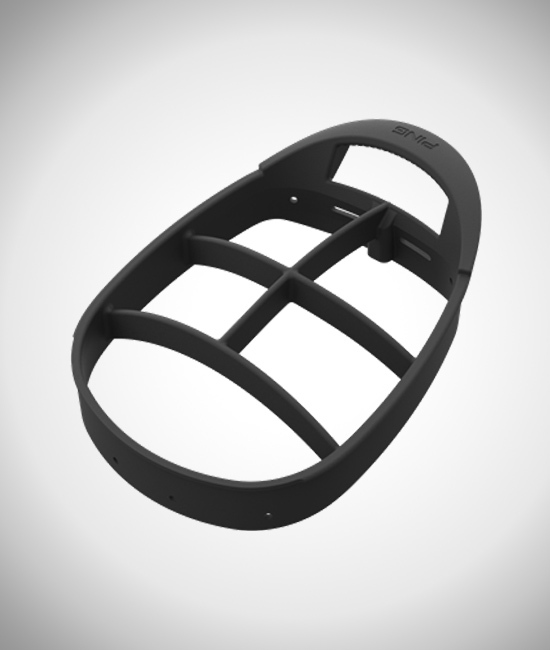 A strap connector allows the bag to be carried by a single strap or backpack style with optimal distribution and balance. 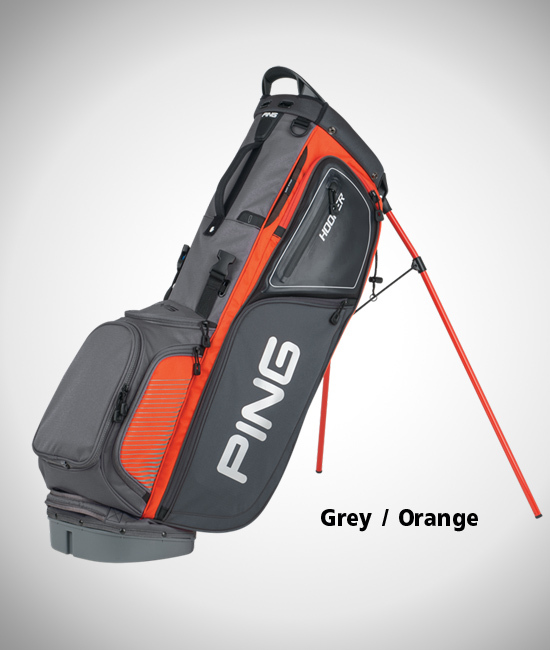 The five-way reinforced top with an integrated handle is engineered to keep clubs from bunching and is made from high-impact polypropylene with anti-flex walls. 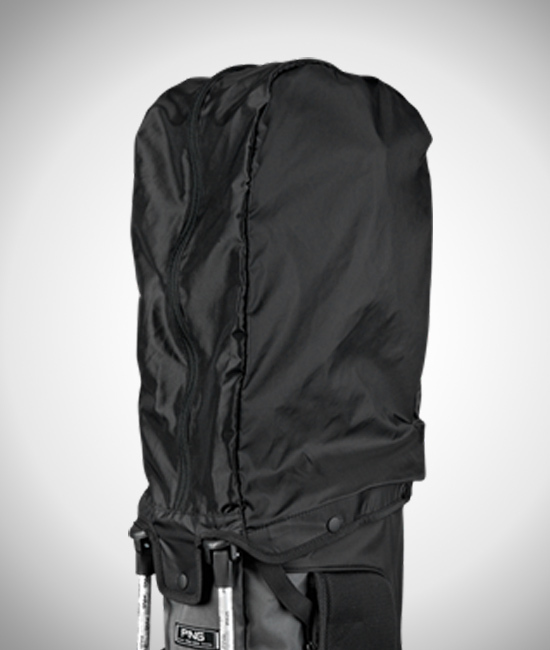 A cart-strap channel keeps pockets accessible while secured on a cart. 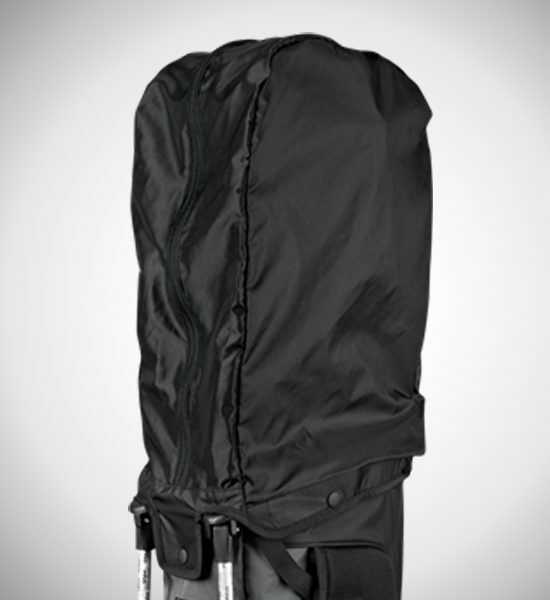 And snapped inside the cushioned hip pad is a deployable rain hood. 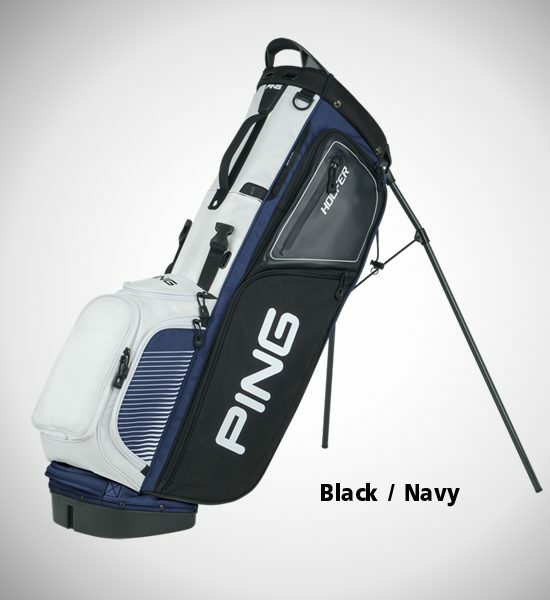 Nylon and polyester materials provide durability and lasting quality.